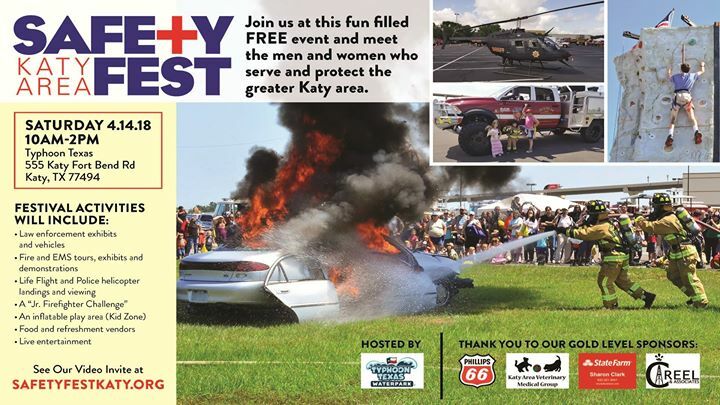 The Katy Area Safety Fest is Free to the public and will feature personnel, equipment, and apparatus from the 20+ agencies as well as many non-profits and sponsors that serve the greater Katy area. Please like/follow and invite your friends to follow this page to get all the latest updates as we get closer to this year's event. The purpose of this event is to familiarize residents with the men and women who serve the Katy area, as well educating and engaging with the community through a variety of fun, educational, and high-energy activities. Whether you are a child or just a child at heart we know you will enjoy the many activities and demonstrations planned throughout the event.